Keep Watch! This Dunny must be seen to be believed! Mishka’s fabled Keep Watch character makes its triumphant return and this time it’s taking no prisoners. 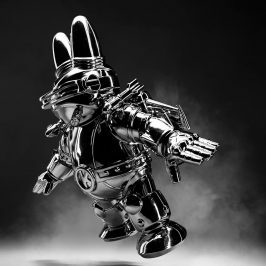 An entirely new sculpt, the Bad News Dunny is engineered to destroy as 8” and 3” Kodiak and Polar Editions. Sometimes the bear eats you, sometimes you eat the bear, and in the case of Mishka sometimes you wear the bear as suit! 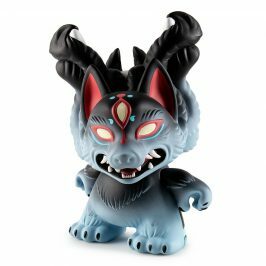 Mishka will the full lineup at New York Comic Con booth #110, taking limited pre-orders. 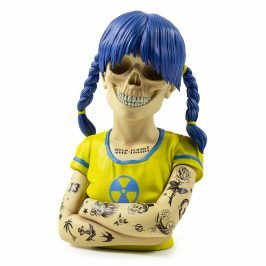 October 24th and is available on Kidrobot’s Website and select retailers. 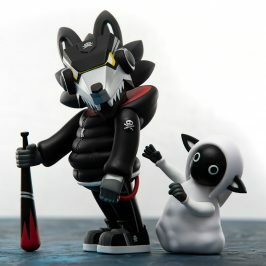 Supremely limited, the 8” Polar Edition is available exclusively through Kidrobot’s website and San Francisco and Las Vegas locations, while the 8″ Kodiak Edition can only be found at uber-select Mishka and Dunny retailers worldwide. 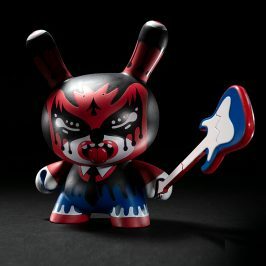 Oh… and one lucky buyer of the supremely limited 8” Polar edition will win the other three Dunnys… for FREE! 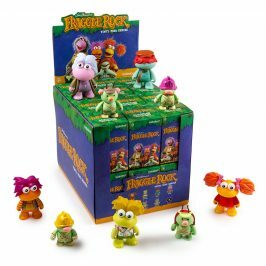 That includes both 3” versions and the 8” Kodiak Edition… that basically means one lucky buyer is going to get a much larger box than they expected when the UPS driver shows up… pretty awesome!